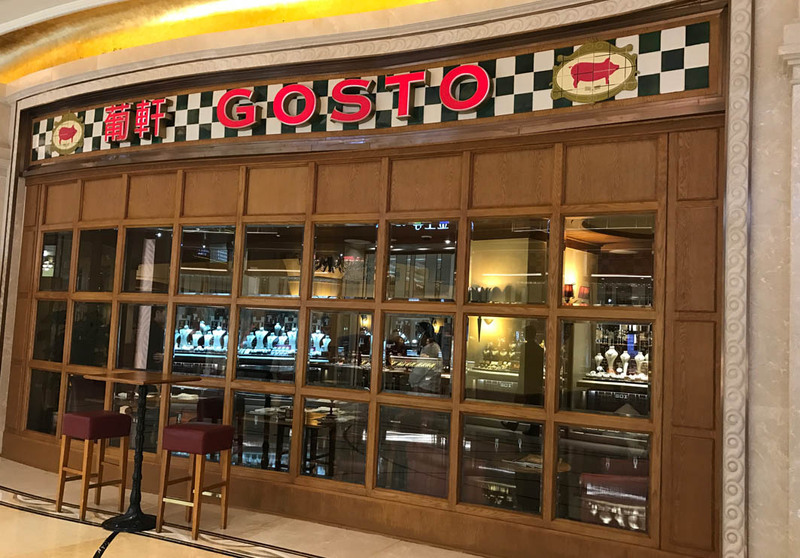 Located in Galaxy Macau in Cotai, Gosto offers guests authentic Macanese and Portuguese flavours, in a distinct setting that will have you feeling like you’re dining in Lisbon. Decorated in traditional Portuguese-style, with white walls, blue bricks, copper lanterns and colourful touches all around, the Portuguese ambiance dominates in this restaurant. Plaintive melodies of Portuguese traditional Fado music in the evenings, bring the experience full circle. Must try dishes include the Portuguese Tapas, served on a wooden board and the Macanese-style Roasted African Chicken. Pair your meals with a glass of sangria to feel like the buzz of Macau is truly a world away.